EDINBURG — A county court-at-law judge denied a local bondsman’s request for a new trial Monday, leaving the bondsman with two options, both of which require putting down the $50,000 he forfeited when the man he bailed out of jail never appeared in court. Mission-based bondsman Arnaldo Corpus found himself in this situation after posting a $50,000 bond to bail former Hidalgo County District Clerk Omar Guerrero out of jail in May 2013. Guerrero, who had a history of fleeing to Mexico to escape criminal charges, failed to appear that October for his arraignment on a misdemeanor tampering with the identification number on an assault rifle charge. As a result of Guerrero’s failure to appear for his arraignment, County Court-at-Law No. 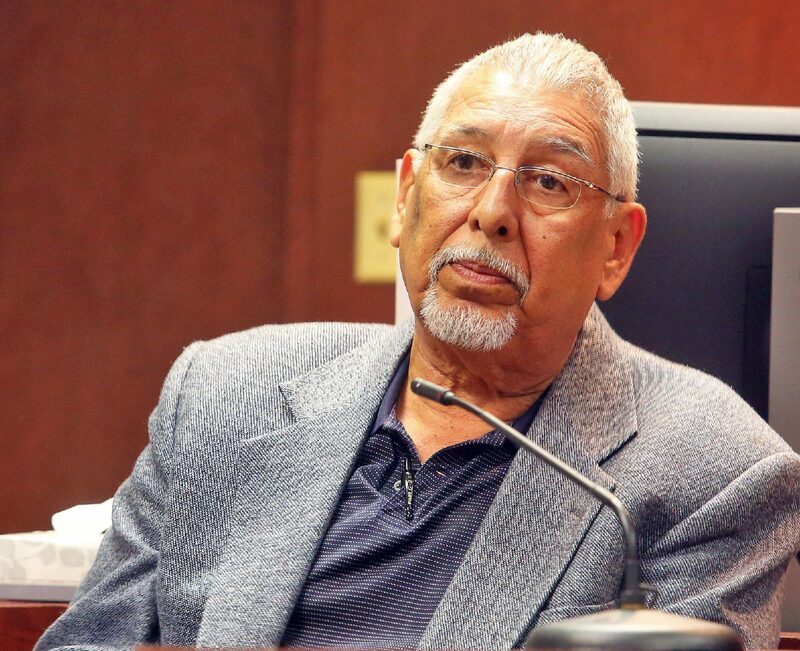 1 Judge Rodolfo “Rudy” Gonzalez initiated the bond forfeiture process, and three and a half years later, the forfeiture case went to trial in April. A jury determined Corpus, who owns Corpus Bail Bonds, is responsible for paying the bond given Guerrero’s disappearance. Corpus declined to comment on Gonzalez’s ruling denying his motion for a new trial, nor did he detail what his next steps might be. He could either pay the county the forfeited $50,000 or appeal the ruling, which would cost him the same amount as it requires him to post an appellate bond to halt forfeiting the amount during the appeal. Even if Corpus decides to forgo appealing the verdict and decides to pay the forfeited bail bond, his troubles tied to Guerrero won’t be over. He contributed $300,000 of a $1 million bond tied to a felony possession of a controlled charge that went into forfeiture after Guerrero again failed to show up for multiple arraignment hearings in district court in May 2013 and June 2016. At question in that forfeiture case — which is still pending and will be heard in the 370th state District Court — is whether a capias, or arrest warrant, was properly issued in the 389th District Court in 2013 and 2016 to initiate the forfeiture process. Also at play is whether the District Attorney’s Office gave the defendant and four bondsmen proper notice on procedural issues. The bondsmen, which in addition to Corpus include attorney Artemio De La Fuente, Precinct 4 County Commissioner-elect Ellie Torres and Edinburg City Commissioner David Torres, will appear in court at the end of the month for a status hearing.